Pathogens and parasites have evolved in intimate relationships with their human hosts, and have often played central roles in human population history. Notably, human pathogens evolve with surprising rapidity, quickly exploiting novel niches introduced by shifts in human behavior or ecology. 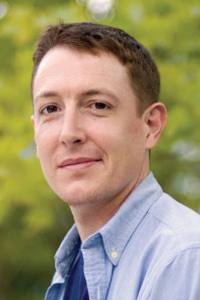 In this talk, Drew Kitchen will present recent work that investigates the connection between pathogen/parasite evolution and the history of their human host populations. He will close with a discussion of how human parasites, such as lice, may colonize new niches introduced by shifts in human behavior, and in so doing, become unique markers of evolutionary history. Kitchen graduated from the Johns Hopkins University in 2001 with a B.S. in Biomedical Engineering, after which he then obtained an M.Sc. (Biology) from the University of Oxford (Hertford College) in 2003, before receiving both an M.A. (2004) and a Ph.D. (2008) in Anthropology from the University of Florida. Before joining the University of Iowa in 2012 as an Assistant Professor in the Anthropology department, he was a postdoc in the Center of Infectious Disease Dynamics at the Penn State University. Drew’s research interests are in human evolution and pathogen evolution. His current research is focused on the molecular evolution of pathogens including the macro evolutionary patterns of pathogen emergence and divergence, and genetic studies of ancient human migrations in general and the peopling of the Americas in particular.